Got out today to try a load out. 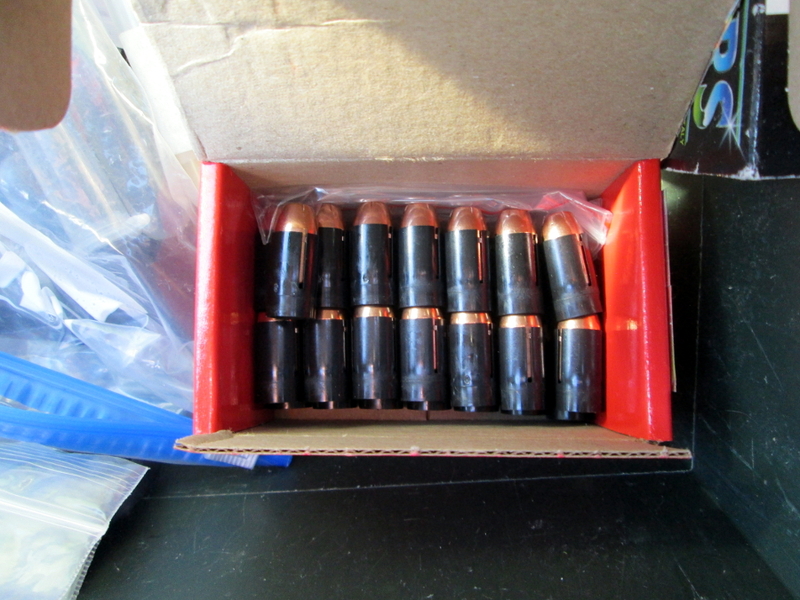 I used 110gr Alliant Black MZ, lightly swabbed between shots, .452" 300gr Hornady XTP Magnums in a black 4 pedal TC sabot. 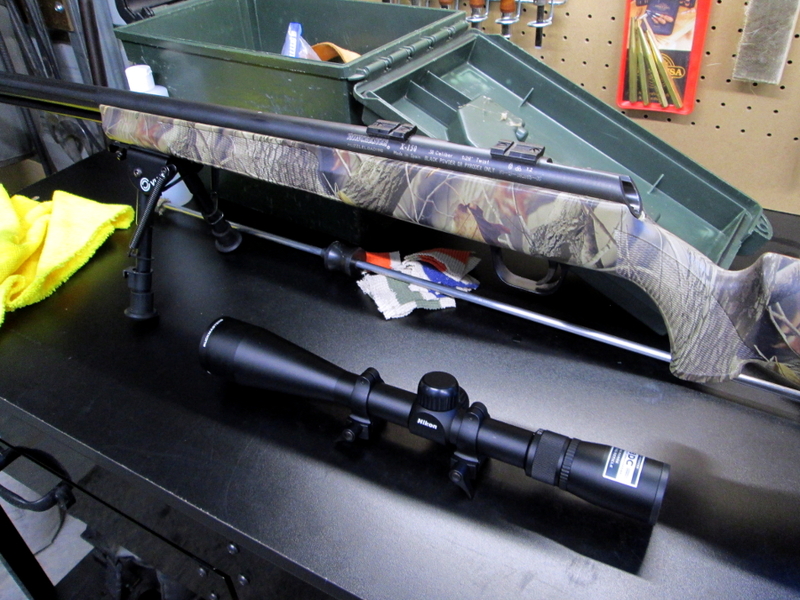 Winchester W209 primers. Final 3 shots are in the middle of the bullseye area. Pretty neat seeing how similar the groups were before doing a final adjustment. 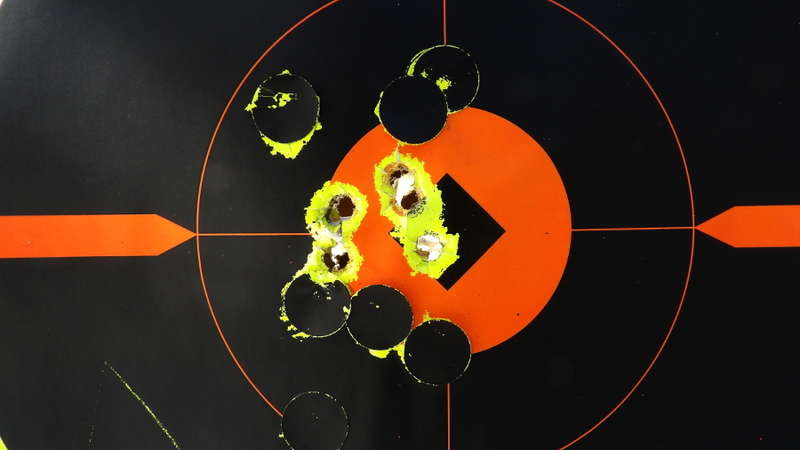 Today was just 50 yards to test out the load for accuracy potential and zero in the scope. 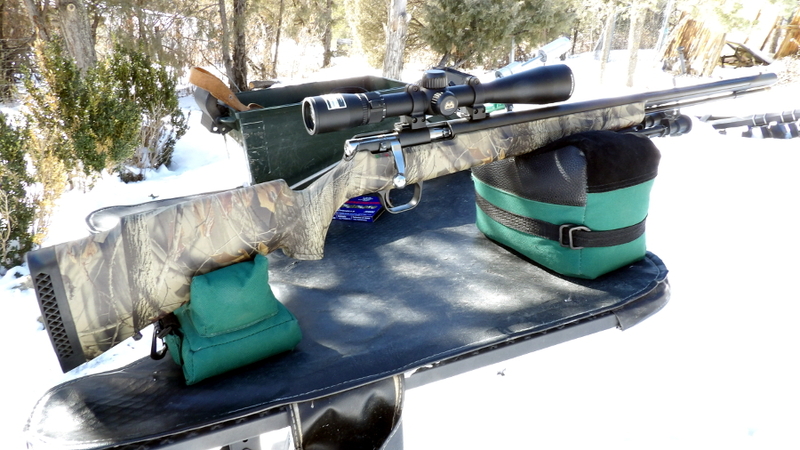 If its nice out tomorrow I hope to take it to 100 yards and give it try once more. Sabots are about like Patched Roundball with me, I have VERY LITTLE Experience with either of them. I tried some in my TC Scout Pistol, They loaded awful hard, and I don’t remember Accuracy being very good? They were Green, and came from a Pawn Shop, No telling what they were? LOL, I know i used Hornady XTP Pistol Bullets in the Sabots. I have Handloaded them bullets for years in 44 Magnum Revolvers. 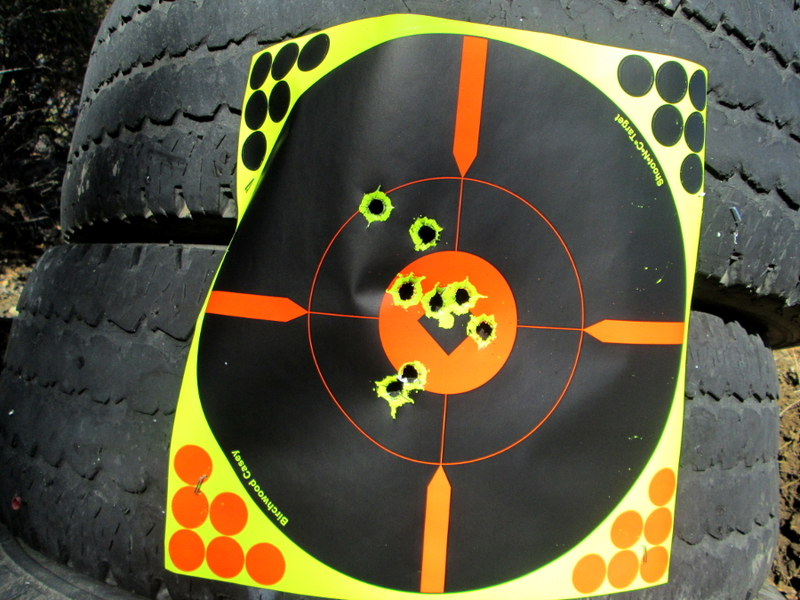 Took it out to 100 yards today and had really good results except for 4 shots that went 2 high and 2 low. While cleaning the rifle, I went and made use of the quick detach rings and found the front was completely loose! This is the second time now that it has done that. I used some extra torque this time around. I will keep an eye on it for sure from now on.